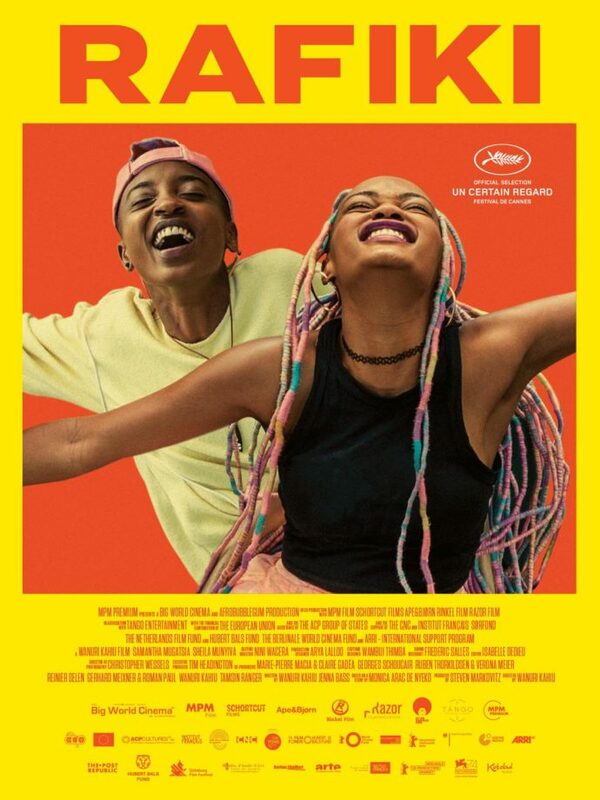 Rafiki, first feature film by kenyan director Wanuri Kahiu, tells the story of Kena (portrayed by Samantha Mugatsia) and Ziki (portrayed by Sheila Munyiva), who fall in love in a Kenya where homosexuality is not only very negatively judged upon but also outlawed. The strength of this film is to show us first and foremost a true love story. And from that point of view, the film is beautifully directed by Wanuri Kahiu, and the actresses portraying the two protagonists are amazing. The image by Christopher Wessels is beautiful, and the sounds (Frédéric Salles) and the music accompany perfectly the story. The direction is very mature, always chooses beauty and poetry, even in scenes where the tension is at its paroxysm, like when the population violently beats up the two young women. But telling the story of this unconventional love in a country where it is outlawed (the film has been forbidden in Kenya) is also a pretext for Wanuri Kahiu to depicts Kenya today, with its contradictions, and also its beauty and humanity, with the best and the worse. The film is very political. This is not a coincidence that the dads of these two women are politicians and opponents in a local election. On top of increasing the stakes for the love story, it is also an opportunity for the director to show us the political intricacies in Kenya. The film also shows the presence of religion and the strong influence it has on some people. This is also in a way a story of emancipation for these two young women. Both of them will have to make a choice between their father and their heart, between being faithful to the past or being themselves no matter what the consequences will be. And this path is not easy, even with love, passion, and conviction. And some of the battles are lost along the way, and even physically and emotionally painful. But the message of the film is to keep going at it no matter what, trust that in the end, by remaining true to yourself, you will find and know who you are. A brilliant and very sensitive film.